‘The first MODELLING SUCCESS for your Business MASTERCLASS was held on the 27th and 28th November. This was run by Jacqueline Day Business Advisor and Award Winning Coach. 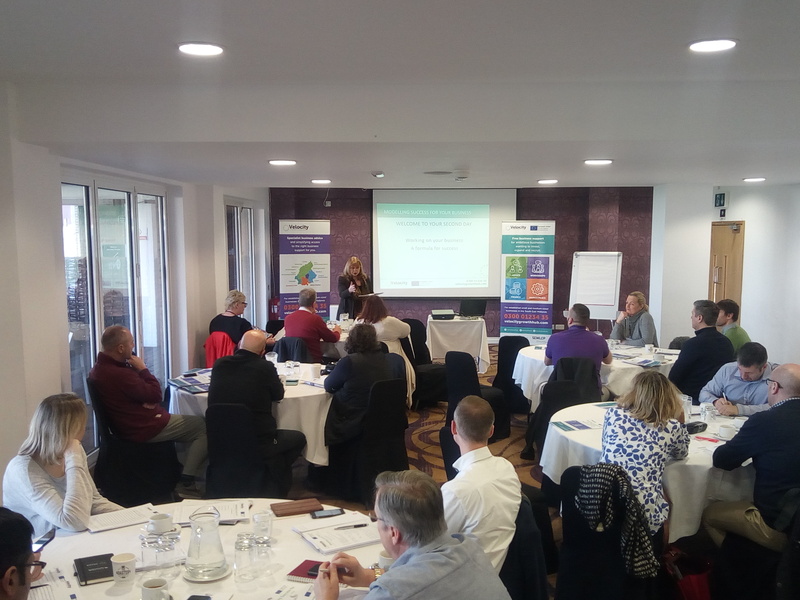 It was a huge success and attended by 26 delegates who had the opportunity to work together in a group, share experiences, learn together and work ‘on’ their businesses. In this Master Class you will also carry out a ‘GAPS’ Analysis to identify the gaps you need to cover to get you from where you are now to where you actually want to be. This will include overcoming your barriers and obstacles. Certainly you will develop Well Formed Goals to align with realistic Growth. Many of the delegates have said that they came away with many tools that they can use in their business and some even claim it is the best Business event they have ever attended. Throughout this Master Class you will open your mind to greater business potential and maximise possibilities. Delegates who attend Modelling Success for your Business also have the opportunity to attend the Advanced Strategies For Modelling Success For Your Business where Jacqueline will share some of the advanced strategies she has used with her clients.